When you combine butter, eggs, sugar, and peaches...do I even need to say it...it's going to be damn good. Peach curd is just a little dream and while I normally eat it with a spoon straight out of the freezer it's nice to act like a "civilized young lady" and actually put it to use. It's very nice on biscuits for a morning treat as well as pancakes. However summer time is the season to entertain. And as Julia Child said, "A party without cake is just a meeting." Let's eat some cake! Bake you 3 layers of cake and cool completely. Make your butter cream. I usually use the recipe on the box of the confections sugar box however it's a bit heavy...like you need a nap to help you out of your sugar coma. I pinterest'ed around for one that used butter and butter flavored crisco (Crisco scares me a bit but the frosting seemed to work) which helped lighten it up. You could use an egg based recipe is well. Check out Molly's recipe on my My Name is Yeh. 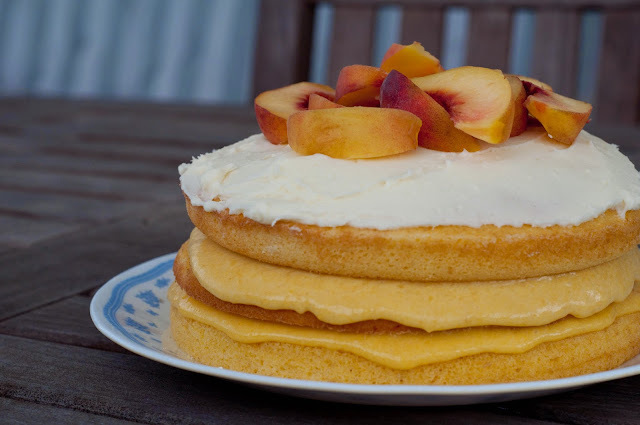 Assemble cake with peach curd between the layers and just a dollop on the very bottom so the cake isn't sliding around the plate. Frost the top. 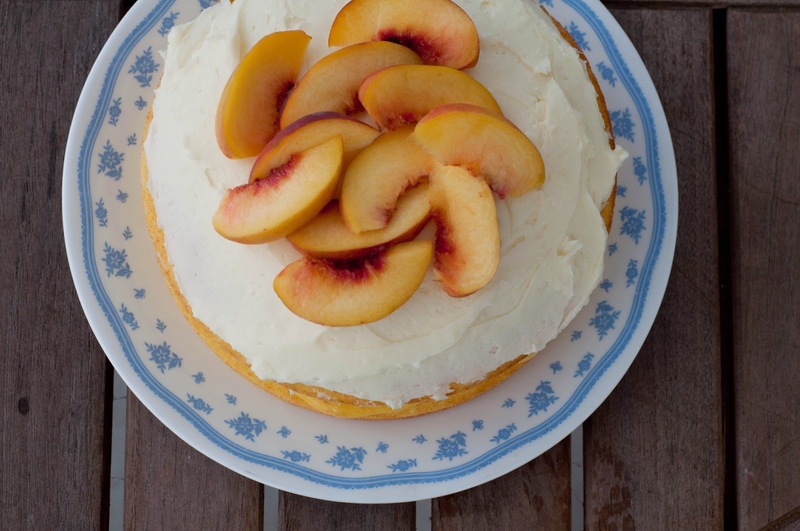 Decorate with some peaches!